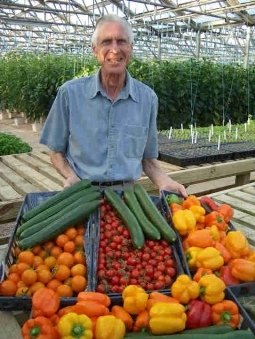 Ever thought about greenhouse gardening? No doubt…, I have. Are vegetables and fruits a passion? Take a closer look at greenhouse gardening. When the growing season arrives, weather conditions will no longer be a worry because growing anything will become as easy as planting a seed. Is growing food in a greenhouse expensive? Many people have heard that greenhouses are expensive, the truth is, there is a considerable investment to make, nowadays things have changed quite a bit. Spending a lot of money on a green house kit is truly possible, but there’s no need to break the bank. Even better…. Affordable greenhouse kits, UN-assembled, can be shipped to your site. Enabling your gardening journey to start growing vegetables as soon as the ground work is done. Most folks prefer building their own greenhouse, this means they can design it perfectly to suit their choices and preferences. No worries …, because there are not many limitations, and for the most part, controlling your greenhouse environment,… is in your hands. Extending daylight with artificial sunlight lighting and optional heat system are key elements in determining what you will be able to grow. However, that is the magic of owning a greenhouse. Being able to create the perfect environment for vegetables and any other plants to grow, at any time. This means…, Not only will cultivating edible plants become a natural routine: ornamental plants, grown for decoration or landscaping purposes or if selling is… your cup of tea…! are all possibilities. Retrospectively many people getting into a green house will always want to grow tomatoes. The best thing about tomato growing is that when they grow in greenhouses, they taste juicy, succulent.. and overall much better. They claim that they’ve never had such delicious tomatoes in their life. Well, given the fact that greenhouses have controlled environments, the vegetables receive exactly what they need, in order to get ripe and tasty. No more worries about planting seeds for your tomatoes or other vegetables during unusual hours in the night or day or even worry about the seasons. When considering a greenhouse from Green houses Del Sol deciding when to plant seeds and how tasty your vegetables will be your own choices. With that being said, and now that you’ve read the good news. 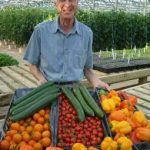 Build yourself a greenhouse that will last for many years and start growing wholesome hardy vegetables and plants… and see how that works for you.. then write a good book to re-coup your expenses…!